I love, love, love the picture that is painted of heaven, more specifically the throne room of heaven in Revelation 4. It is incredible to read of the creatures described and the words of worship sung. It makes my heart soar and makes me feel like I can’t wait to get there and be a part of it all — forever!!!!! And instantly I was in the Spirit, and I saw a throne in heaven and someone sitting on it. The one sitting on the throne was as brilliant as gemstones—like jasper and carnelian. And the glow of an emerald circled his throne like a rainbow. Twenty-four thrones surrounded him, and twenty-four elders sat on them. They were all clothed in white and had gold crowns on their heads. From the throne came flashes of lightning and the rumble of thunder. And in front of the throne were seven torches with burning flames. This is the sevenfold Spirit of God. In front of the throne was a shiny sea of glass, sparkling like crystal. In the center and around the throne were four living beings, each covered with eyes, front and back. The first of these living beings was like a lion; the second was like an ox; the third had a human face; and the fourth was like an eagle in flight. Each of these living beings had six wings, and their wings were covered all over with eyes, inside and out. Whenever the living beings give glory and honor and thanks to the one sitting on the throne (the one who lives forever and ever), the twenty-four elders fall down and worship the one sitting on the throne (the one who lives forever and ever). It’s the first Sunday in the season of Advent this weekend, where we not only prepare to celebrate the first coming of Christ, but we also look ahead with hope towards the time when Christ comes again. Tonight I just read the following in my devo in my Bible app, written by Ms. Laura Yates, a senior Psychology major at the University of Mary Hardin-Baylor, based on this verse. It was a great reminder and challenge, to not keep quiet about the best news ever!! A child running to show his mom his artwork. Getting an A on a test and telling all your friends. Hiking up a hill to see the sunset and Snapchatting the photos. What do all of these scenarios have in common? We love to share good news with others. We cannot contain our excitement when we receive a raise, when we get engaged, when we enjoy a relaxing vacation. So why do we hesitate to share the greatest news of all with others? Fear. We fear rejection. We fear the opinion of man. We fear failure. We forget that the King of the universe came to a filthy stall in a mangy barn and took on the limitations of our leathery skin, salty tears, and fragile heartbeat. He subjected Himself to our pain and sorrow, growing ever greater until it climaxed with His brutal torture and death. Because of us. Emmanuel. Say it again, breathing the name in and then out slowly. Our God is here with us, in our very breath and very being. My attention was recently drawn to this song as it came on my Spotify playlist. 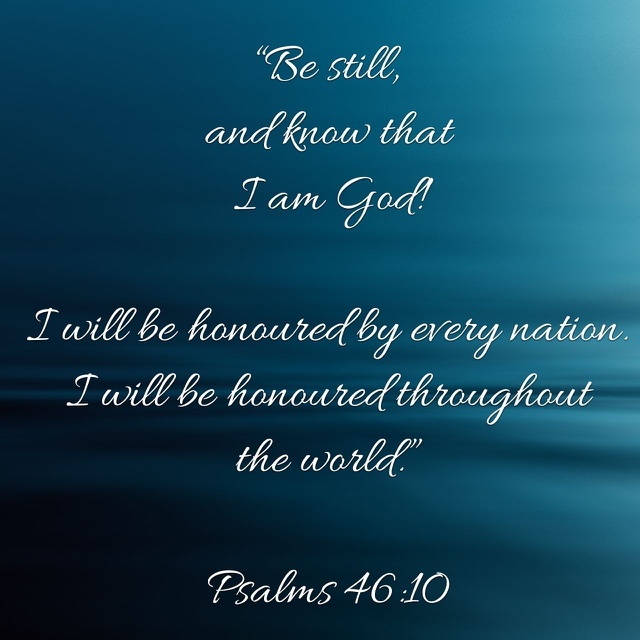 In the late 1990’s & early 2000’s, I remember there seemed to be a number of Christian worship songs that talked of seeking God’s face, not just His hand and I questioned, where are those songs now? Why do we talk of seeking, pursuing, waiting for, following after God’s presence instead of His face? Then the thought came: it’s the same thing. When you really want to get to know someone, you don’t just talk over the phone, you don’t just write letters, but you want to, and you make time to, be with them. You spend time with them in their presence. If we want to get to know God, we can’t talk with Him over the phone, we can’t write Him a physical letter that He will reply to in the same form, we pursue His presence. We invite His Spirit into our lives, we get out for a walk in His creation, we can commune with Him in a quiet space or in a space with loud sung worship, we are mindful of Him with us, in every part of our lives. Just as we can be changed, we can be inspired, we can become more like those people we hang around with, the more we spend with God, we are changed, we are inspired, we do become more and more like Him in our thoughts, our actions, our hearts. When was the last time you or I spent time earnestly seeking after, or hanging out in, God’s presence? These are some of the questions David Shearman asks in his devotional “Presence Carriers” – helping us get, and stay, closer to God. God, I want to be someone that carries Your presence everywhere, everyday. Keep my connection with You strong Lord. Don’t let my life get in the way, so You get pushed out. Give me eyes to see the moments in my day where I can be still in Your presence. Be honoured Lord in my heart and my life my Lord and my God. Amen. 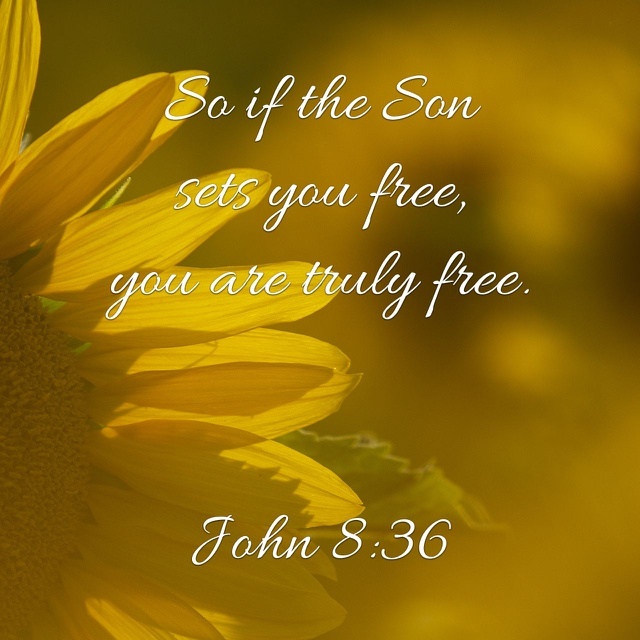 When the Son sets us free, we are truly free. No longer held back or bound by mistakes we’ve made, actions we’ve taken, decisions we’ve made. There is a true freedom that is only found in Jesus! From our point of view, it was (& still is!) 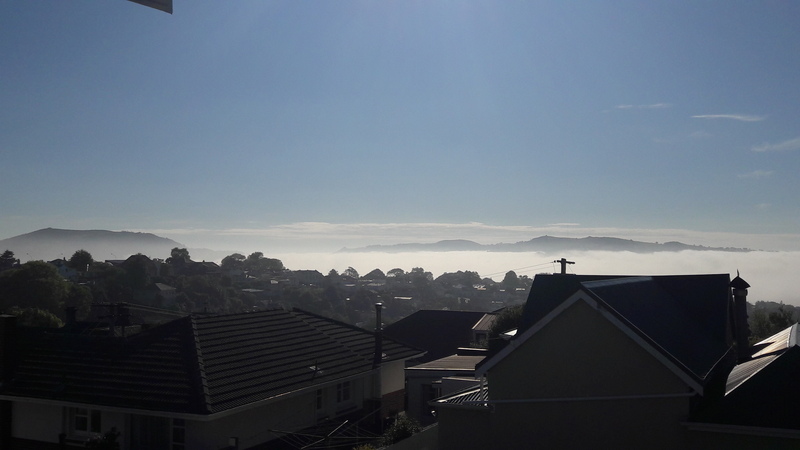 a gorgeously sunny day 🌞 but for those living on the flat part of our city, it was a foggy morning. The sea fog is clearing for those living down there now, but initially they would have been shrouded in mist, with not much of a view. Too often, life can be like that. We can become overwhelmed by the fog, the circumstances that surround us. We can’t see a clearer way, we can’t see where we’re going, we can’t see what’s above. But if we change our perspective, if we get ourselves higher, get above the fog of life, we can see clearer, we can see the lay of the land so to speak. In one of his messages from a few years ago, our pastor in our previous church gave an illustration from a surf lesson he took. The instructor showed them the beach and asked them to point out the rips, but they were at best, difficult to see. Then the instructor took them to the top of the cliff overlooking the beach and from there, the rips were easier to spot. It was a matter of perspective. Not belittling the issues we face in life, because some of them can be huge (& what is big for one person may not be big for another), sometimes we need to do what they did in the surf lesson and physically get ourselves higher too. Drive or walk up to a high point where you literally can see things differently. I love the city I live in because there are a lot of hills that I can go up and it takes me out from where I am, giving me fresh vision. Through us, [God] wants to be on the inside looking out, not because He needs our eyes, but because we need His vision. I am going on a plane this afternoon and all morning I’ve been feeling a bit anxious, as it’s been awhile since I’ve flown. Even though I love the take off and landing, I relax while I’m in the sky and am amazed at the science behind these big metal ‘birds’ that carry a number of people from one place to another, I still get a bit nervous or anxious about the whole thing! But then God gave me a little reminder which completely shifted my thinking. 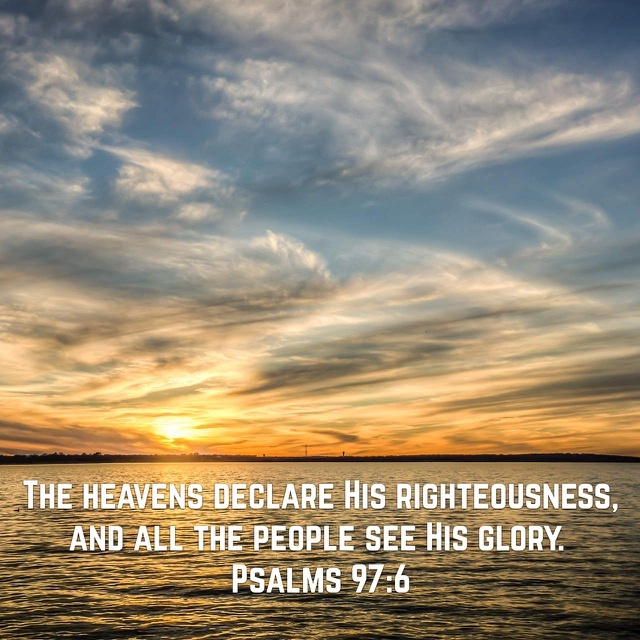 I looked at my calendar with Bible verses on and today’s verse, Psalm 97:6, is “the heavens declare His righteousness, and all the people see His glory”. It grabbed me. Like a light shining in the dark, it was highlighted. Like a rock in my path that I couldn’t just quickly step over or around. It was the verse of the day from my Bible app. What was the verse? In New Zealand (& Australia), April 25 is known as ANZAC Day. It’s the day we remember all our men and women who have been or are a part of our Defense Force. You would probably struggle to find a New Zealander who didn’t have a grandparent/great grandparent/uncle/father/any other ancestor fight in either WW1 or WW2. 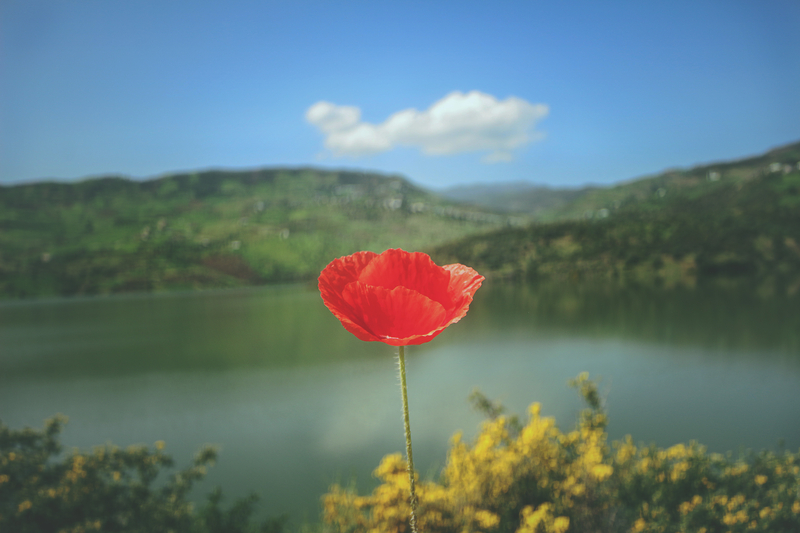 ANZAC Day is April 25 because back in 1915, it is the day where the Australian & New Zealand Army Corps (ANZAC’s) first landed at Gallipoli, Turkey. It was to be the place where we had one of our greatest losses of lives in the entire war. In fact my sister gives a good run down of it in her blog here. What drew my attention to that particular verse, was that we had just come home from attending the Dawn Parade (a ceremony of commemoration), where it was all about remembering those that gave their lives so that we could live in the freedom we have in our countries today. The soldiers who fought in the first & second World Wars (& other wars since) didn’t know if they’d be coming home but they went overseas, potentially giving up their lives for those back in their home countries. I believe this gives us a picture of what Jesus did on the cross. He lay down His life in order for us to live in the freedom we can have when we choose to live in Him. And a day late I know, but for Musical Monday this week, I’ve chosen to share The Last Post. It’s a bugle call to honour all fallen soldiers. Today is Maundy Thursday, the Thursday in Holy Week. It is the day that we remember Jesus having “The Last Supper” with His disciples. Some churches have Passover meals on this night, other churches have a very reflective service and afterwards strip the church of all colourful banners, drapery, altar frontals, etc and leave it bare. Other churches have music practices for the upcoming Easter services, whereas other churches do nothing. I’ve been a part of different churches where these things have happened in each one and there is nothing wrong with any of them. My current church is the latter. But the one I grew up in was the second example I gave. As a teenager I would almost reluctantly, but definitely routinely go to the Thursday night service. I think the thing I enjoyed most was helping to strip the church bare of all the colour and then ‘dress’ it for Good Friday. We left the altar bare and put a black cloth along the altar rail & a purple one over the cross. But then is enjoyed the right word? How can we enjoy stripping the joy away? It is a reminder. With the events of that particular Thursday night, Jesus was stripped bare. Not just literally, but He was stripped of His dignity – wearing nothing but maybe a loin cloth, I don’t know.. He was stripped of His friends – they all deserted Him, even Peter denied Him three times before the rooster crowed.. He was stripped of the Father’s Love – He cried out to God “why have You forsaken me? The tradition of stripping the church building bare represented what happened to Jesus Christ. Now that I’m an adult, a wife and a mother, I miss some of the traditions I grew up with. I miss the ‘getting ready’ for Easter that all the traditions and routines brought. I miss the choosing of songs for Good Friday &/or Easter Day services if I was worship leading at either of those services. I miss helping my Dad with Easter preparation, or even just witnessing how much time and energy he put (& still puts!) into all the Holy Week & Easter services, doing his best to give anyone that comes the most meaningful experience of Easter possible. I miss making hot cross buns with my Mum on Good Friday. This week has been just another week in the life of a family. My sons went to school and kindy, my husband went to work, I went to the gym, did housework, had a job interview, did some shopping… all normal stuff. I did some personal ‘Easter prep’ in my devotional times and also physically like buying the things I need to make Hot Cross Buns with my sons. I can pine away for the traditions I miss or I can make my own new ones. After all, I can’t rely on others to get me ready to remover the events of Easter. We will be going to church tomorrow, with the countless other Christians & other people wanting to focus on the cross. We will make hot cross buns. We will have music/songs playing that remind us of the cross and the love that was poured out.. for you. For me. For us. Hindsight is a good thing. We know from looking back at history that His story doesn’t end with the events of Friday. While we have traditions to ready us for Friday, we have more, or they can be made, for Easter Day too! Thanks Grace Vineyard in Christchurch, NZ for this incredible declaration of a song!